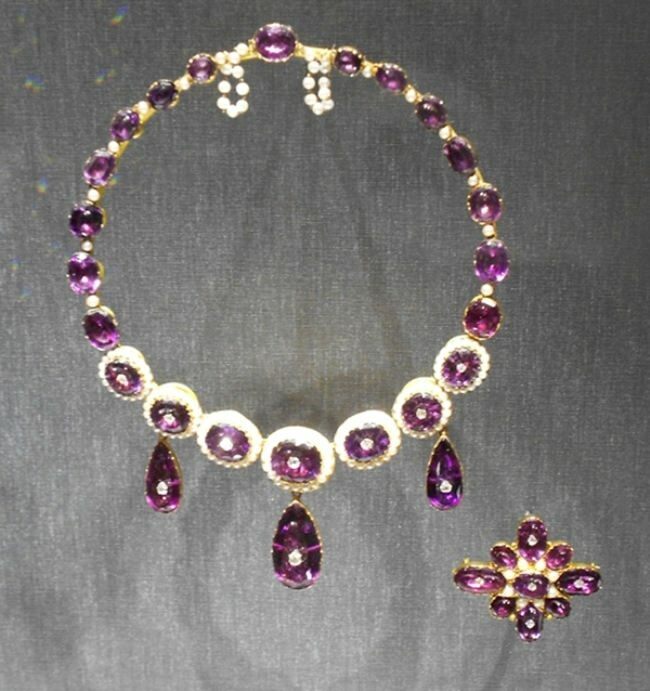 Amethyst suite at the Museum of Fine Arts. England, 1870. Gold, diamond, amethyst, and pearl.